What about introducing the Monday of 12th December as a first Polish bank holiday? Monday will be spent with heads under the cold water tap. And for the record I am Polish...jealous? You are Polish? But in your profile you say you don't speak Polish. Then you are not a true Polish patriot since true Polish patriots speak Polish and choose to live in Poland. This is true. Getting there though. Does not mean I cannot have an opinion though. But now you are coming back with a message for us all about how to run the country and what it means to be a patriot ? Back to the march :) Just over 2 weeks to go. I think there could be 120k + this time, it seems everyone is taking more people than last time given its an extra special date. 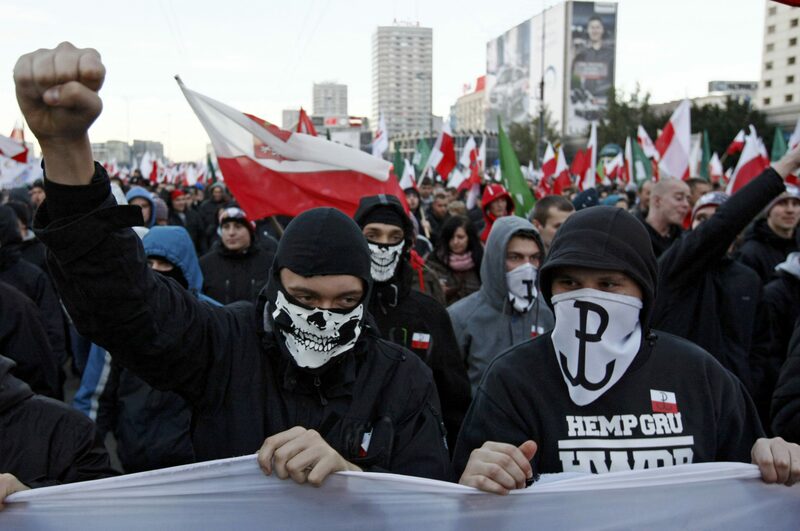 Sending money to Poland means that they may be "Polish patriots" at most. Being a true Polish patriot reguires speaking Polish and living in Poland. Yes, you can. But only as a Polish patriot and not as a true Polish patriot. Yeah? What would you know about it? If you wanna go down this road let do it. As a bureaucrat that doesn't add anything of value to the wealth of a nation you are living off the taxpayers money. So it is rather crude and crass to demand from people to pay taxes in Poland that you could live your live off their sweat and money. One of the reason I contest PiS is the fact they have done nothing to cut down a huge overgrown army of pen-pushers. That would be a goal worthy of a true patriot. If you don't cause you would be hurting your interest in the process you better shut your mouth lecturing others, key? You don't know who I am, what I do for a living and what I add to the wealth of a nation. Unless your post-commie sources inform you on that from Moscow? you better shut your mouth lecturing others, key? 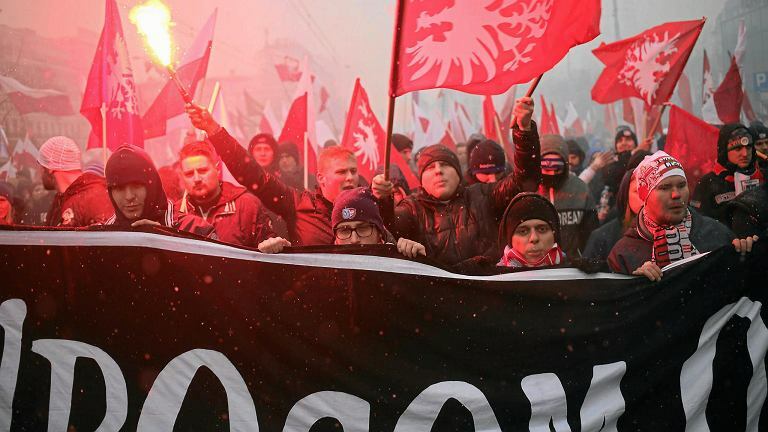 You are the prime example of a "true Polish patriot" who has been choosing to live outside of Poland for many many years, so you better shut up your mouth in the discussion regarding true Polish patriots. You don't know who I am, what I do for a living and what I add to the wealth of a nation. Exactly my point. Why would you assume anything about other posters in this stupid manner? Cannot keep up with the arguments, eh? Being a true Polish patriot reguires speaking Polish and living in Poland. And not making excuses as to why it can't be done, or coming up with vague "in a couple of years" excuses. Something most "patriots" have in common is that they're not actually willing to make the sacrifices needed. For instance, our faux-patriot here wants to set off flares, despite it being a criminal offence to do so. That is still the biggest patriotic manifestation in the whole of Europe, one that infuriates European mainstream left media such as BBC every year for some reason. Don't they believe in a human right of manifesting their own values? Shame on them. And remember that even a relatively small group of people with a strong conviction to their ideas can change whole society. It has happened many times in the past already. So the Sejm have just passed the emergency legislation for the Monday 12th. They are sick in the head. This is costing me money and costing the country countless millions. Total wankers, and the worst of the laughing stock. Well done you scummers. From your supercilious attitude, we could take an educated guess. I reckon Ironside is bang on the money. Hardly. It's the biggest regular gathering of bald men who enjoy the company of other bald men, but that's about it. Perhaps you should say that it's rather the biggest meeting of men who enjoy other shaved men, judging by the real photos online. Look at them - covered faces, like real cowards. Here's what they really look like. Men, men and nothing but men. But this is a trait of you and your own nation in scutland. I think you expats top trump any rally Poland might organise. Is that you (wearing the wig)in the middle of the bald guys giving the nazi salute. 1. 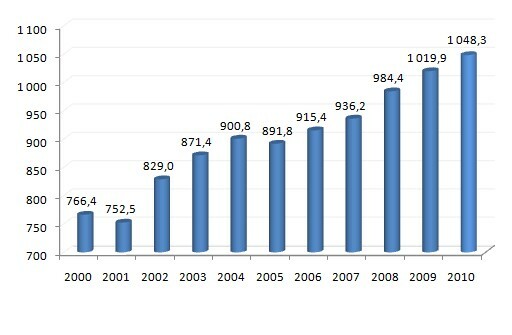 The young, especially graduates, are still leaving Poland. And they never, ever, plan to return. My own daughter is one. I'm delighted for her. My pal's 25 year old sister assured me tonight that she is very happy in a post grad job in Paris, where she is paid too much for what she does, working for the government. It is boring work apparently, but wild horses would not drag her back to the low wage economy. 2. After 25 years of year on year growth, it's crunch time. Property prices in prime locations, meaning star cities, are stagnating. Some wise minds speak of a crash. Poland has never experienced negative equity in democracy. It really wouldn't go well. 3. The church messing with politics more than ever before since communism. Ask the young. They don't like it one little bit. See 1. 4. New tax laws removing people's incentives to work. 5. Encouraging laziness, as in state sponsored long weekends/cancelled days, costs the country and YOU. 6. Add your own theories here. Instead of patting itself on the ******* back for 100 years of independence, Poland should be getting back to ******* work - instead of this inane PIS conceit. Very likely costly times ahead for many. Your own fault for backing this government. Please don't say you didn't see it coming. Mmmm. A lot of such figures will court controversy. FWIW My uncle Frank actually met G. Anders in the 1950s. He got to speak to him personally. No, really. I remember him discussing the night with a colleague of my dads - Andriej Biedawski, ex Polish air force, aka "uncle" Dawski from Plock. Frank and his 8th Army brigade were all machine gunned in Africa, his troop in the lower legs, and he was at some sort of club in Nottingham and supposedly met Anders and others. I always remembered the stories that night because they made clear to me that war was not about Airfix model soldiers and BSA airguns. Later it was considered a family joke that luckily Jerry didn't know how to set his sights properly. I was 13 when said uncle died and my mum and family have all passed so I can't ask what went on. Sifting through family photos, just in case! Some wise minds speak of a crash. The smartest businessman I know is stockpiling cash, which tells me all I need to know. Very likely costly times ahead for many. Your own fault for backing this government. Please don't say you didn't see it coming. Don't try to blame the Polish government for what's coming Doug. 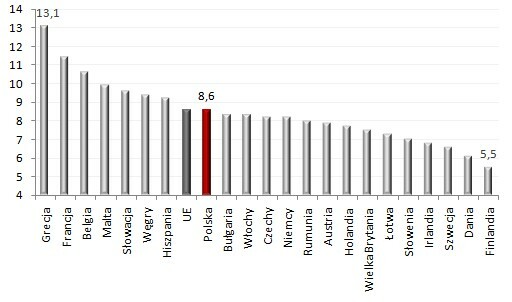 Poland is way to generous to the dead weight, I won't argue that point, as I see the same thing here in the U.S.A. However the soon coming crash and hyper inflation is going to hit world wide and for all of those who are living paycheck to mouth, all those who are in debt way over their head, all those who are living beyond their income are going to have a rude awakening. So while I do agree with you.......I will say in the same breath that it will not be limited to just Poland. One of the reason I contest PiS is the fact they have done nothing to cut down a huge overgrown army of pen-pushers. That's true. Beaurocracy doesn't produce value like industry or services do. And in most cases it even stops the other from doing things and building their businesses. Bureaucracy should be limited. The problem is that the EU is a very bureaucratic body and they set a very bad example for the EU members and neither they have any motivation to fight beaurocracy. But the EU has proved to be a great cash cow, you don't have to look or drive far in Poland to see all the nice new things we have now. I guess the EU think it will be paid back someday. Plus the base point is 700 and not zero - so whatever you are measuring has increased 40 percent in 10years when the economy grew 150 percent. Is it money ? People ? I hope it doesn't survive four years, so no cash for Poland pay back, we need to go back to the idea of a common European market and dump all the fat drunkard politicians. Is it money ? People ? Polish shipyards in the PRL developed because the Soviet Union was their biggest customer. To build ships, you need steel. To make steel, you need iron ore, which came subsidised from the Soviet Union. The steel was made in Poland, and given to the shipyards so that they could produce ships for the Soviets. Now, 1990 comes, and Poland no longer can get cheap iron ore, so she can no longer produce cheap steel. Steel at market prices meant the shipyards were uncompetitive (because they were massively overstaffed and not very productive compared to Korea/Finland/Germany/etc). Gdańsk and Gdynia had no chance of competing because Solidarność were so heavily involved, while Szczecin operated a massive Ponzi scheme where they took loans from the banks against the income from building future ships. eurofound.europa.eu/publications/article/2002/bankruptcy-of-the-szczecin-shipyard explains it all very nicely. It was simply not a viable business, because it (along with Gdańsk and Gdynia) attempted to run the business as if it was the 1980's while competing instead of having guaranteed orders from the Soviet Union. Large shipbuilding in Poland was a Communist thing and should have stayed a Communist thing. Poland is doing great at producing smaller ships, and that's a very profitable niche as witnessed by the huge success of small shipyards in Poland. But of course, Solidarność and PiS hate those shipyards because they don't provide lucrative jobs for Party comrades. Still, it's cute to see how nationalists want to return to the PRL, probably so they can get their rightful jobs in ZOMO. My personal opinion is that the EU will not survive the next 20 years. Oh, it will, no matter how much PiS comrades want it to fall so that they can go back to the good old days of the PZPR.